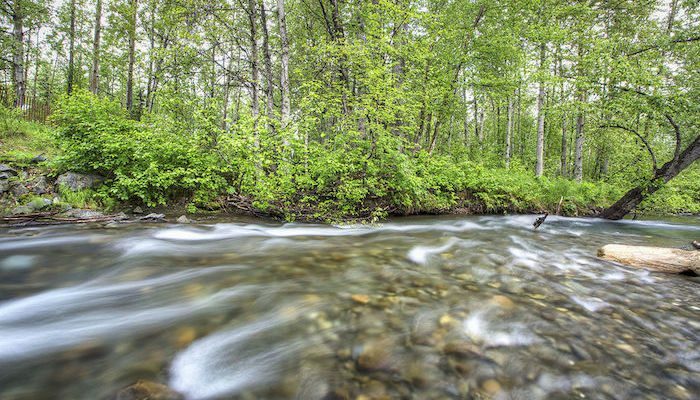 With Campbell Creek Park as its center piece, the 7.5-mile Campbell Creek Trail follows its namesake waterway from the University of Alaska Anchorage campus southwest towards Campbell Lake. This is a pleasant, centrally located trail, especially for students, and it’s easy to track mileage with signposts every ½ mile. Most runners start from the University area and head south through Campbell Park and into the Taku/Campbell neighborhood. The trail is fairly flat. You can also connect to the Chester Creek Trail for more mileage on the north end.